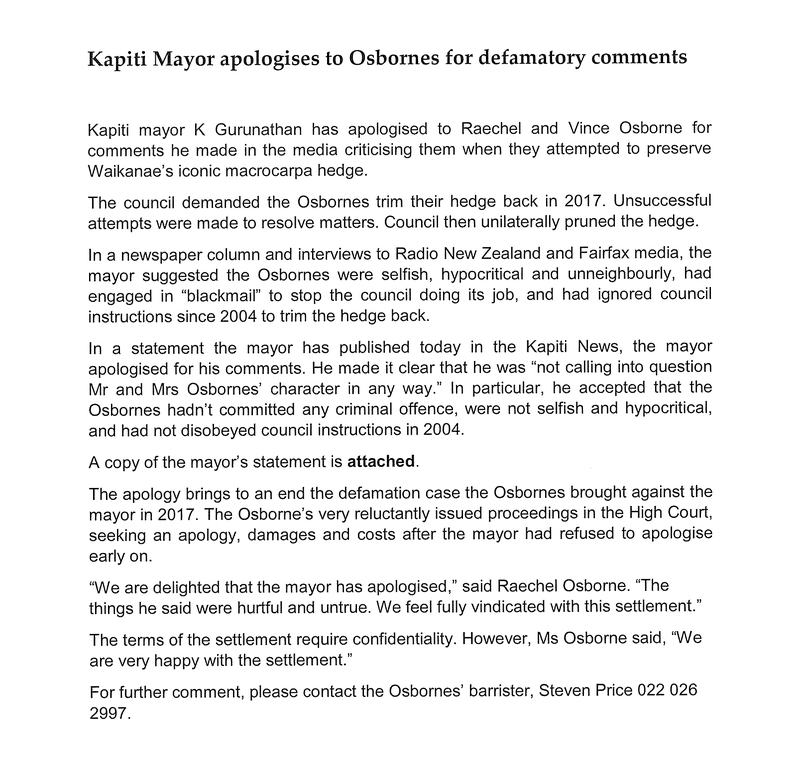 It appears as the personal full-page statement shown above in this week’s Kapiti News (apparently it was felt that the Kapiti Observer isn’t worth bothering with). 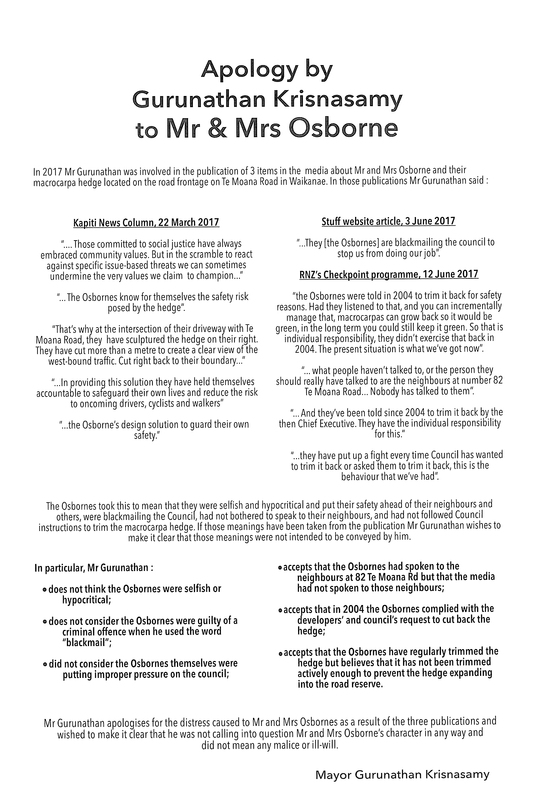 This was a result of official mediation which included other aspects that have made the Osbornes happy. As we previously reported, Guru was invited to do this in 2017, but was too arrogant to do so. Perhaps his (council) lawyers persuaded him that a loss in court would not be a good look in election year? How much council staff time, particularly the highly paid in-house council lawyer Mr Power, was spent on a private matter that should not have been a charge on ratepayers? We’ll ask.